[Buoyancy Support & Three-layer Leak-proof] -- Buoyancy support, after the baby is lying down, the water level reaches one-fifth of the position, the baby's mouth and nose are not drowning. Three layers of leak-proof, one more layer of leak-proof interlayer than the ordinary products on the market. Except round bathtub, others bathtubs can be used. 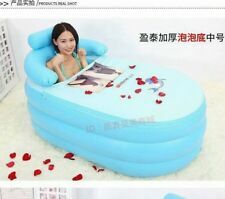 The bathtub width is less than 58cm. 1 x Baby BathTube Support (not include bathtub). Material: Cotton Polyester (net part). Load: 20KG. Anyway we will try our best to avoid this kind of thing. 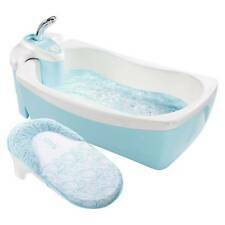 Anti-skid and give your baby a cosy massage bath. 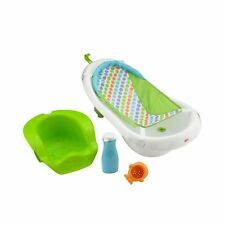 Perfect for the newborn baby, let baby enjoy safety bath. 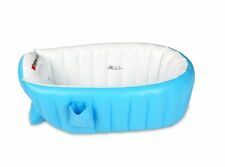 Novel cross shaped baby safety bathing net bed. Padded pillow for extra support and comfort when bathing. Designed to keep kids cool and clean. 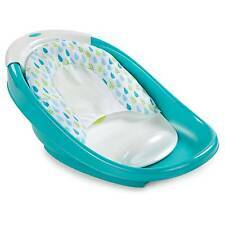 With this Baby Tub the little ones can enjoy bathing fun in the water. The bathtub is made of durable, tested vinyl. The air chambers have safety valves and the bottom ribs can also inflate for extra comfort and protection from slipping. MOMMY'S HELPER. Middle East. We may not be able to send it to countries which prohibit importing lithium. Instruction manual could be written in Japanese. Richell fluffy baby chair R Purple. into the air Ease air pump built. In about 2 minutes, you can easily put in the air. After washing, with grappling hooks can be dry hooking in a well-ventilated place. It has a good elasticity. 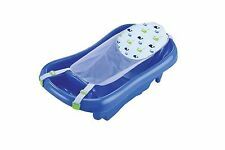 Appropriate size and light weight, easy to carry and better to allow baby float in water, gives the baby freedom to safely stretch and kick in the bath. 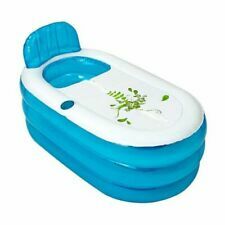 - Appropriate size and light weight, easy to carry and better to allow baby float in water, gives the baby freedom to safely stretch and kick in the bath. It's always a worry when your little one is in the bath, one slip and they could bang their head on the tap! Well, that's one less thing to worry about with the Safety 1st Inflatable Spout Protector. When used, the seat sucker is attached to the smooth and even bathroom floor, the bottom of the bathtub or its smooth and flat surface. Pull back hard to verify firmness before putting the baby into the seat. Protect your baby or toddler's eyes from shampoo and water. To prevent the shampoo & water touches the baby's face. Make the shampoo a funny experience for the kids. When wash your baby's hair, water will not run to the baby's face. 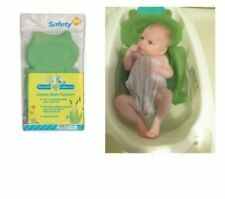 Munchkin Safety Bath Yellow Duck w/ White Hot Alert. 0 Months. We will take care of the problem quickly and give a fair response. We are willing to work with you to resolve any issues you may have.